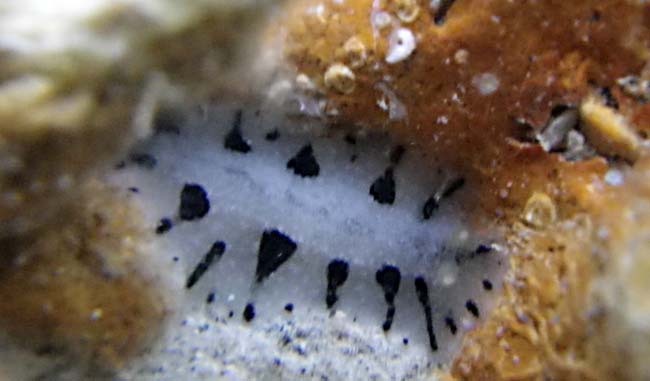 Live specimens ranged in length from 5-26 mm. The mantle skirt is thin and translucent white. 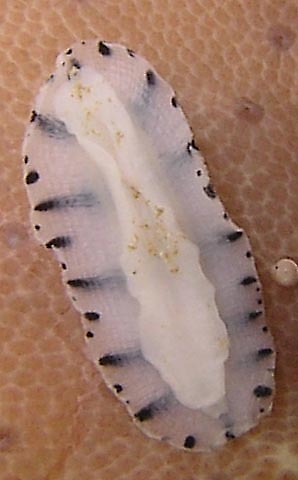 The foot and gills are white. 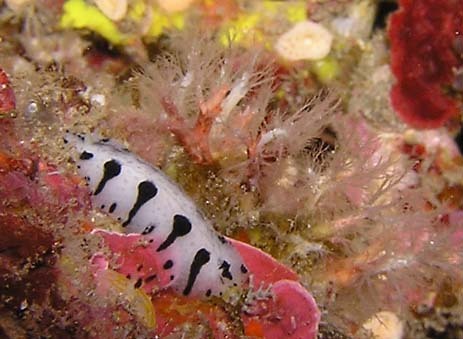 P.phiphiensis , P. annae and P. striata possess white and black colouration but differ considerably in being striped. 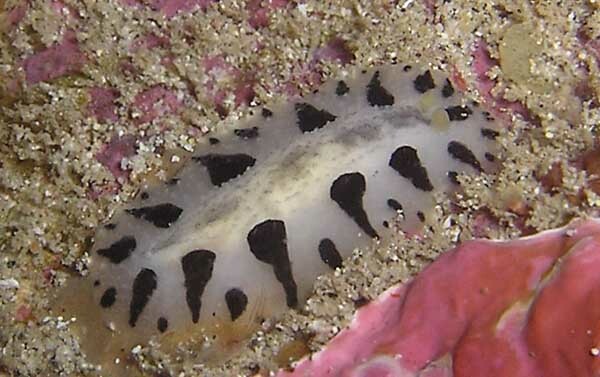 P. loricata is superficially similar to Phyllidia scottjohnsoni which has large black spots, medially, on a pale cream white background. Brunckhorst,D.J. 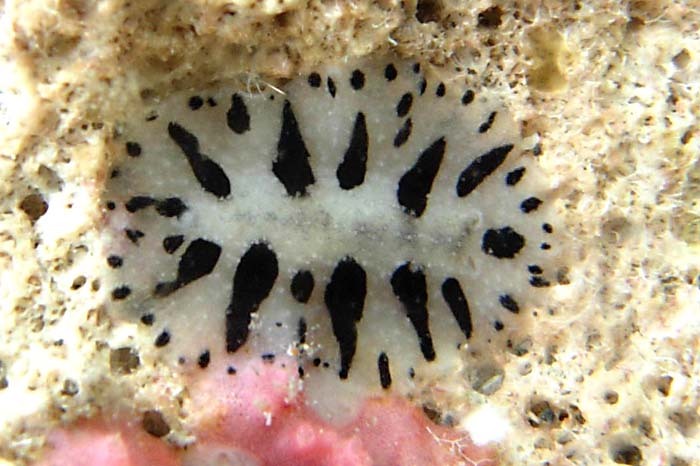 (1993) The systematics and phylogeny of Phyllidiid Nudibranchs (Doridoidea). Records of the Australian Museum, Supplement 16: 1-107. - The white foot and gills. - The squarish in shape and very large fused oral tentacles.